Brand new construction on a corner lot. 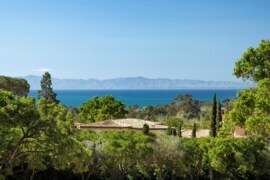 This open California Mediterranean is full of thoughtful details to provide you with an elegant and easy lifestyle, close to Palisades Village. Enhanced with energy efficient features such as LED lighting throughout and NEST thermostats. 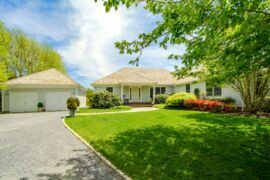 Your lifestyle is fashioned with an awesome great room, soaring ceilings, strategically placed windows, UV-treated and hand-scraped wide plank walnut floors, wiring for high level technology and a dramatic master bedroom suite. There are a total of 5 generous bedroom suites. With its stylish detailing and clean lines, this is a package that you do not want to miss.